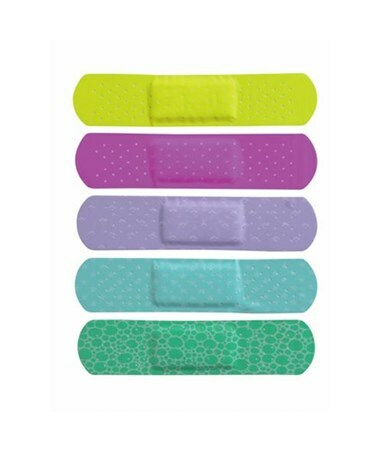 Curad's Neon Adhesive Bandages feature a bright assortment of colors (five total per box) that kids will love. They have a non-adherent pad, and are sterile and latex-free. The bandages measure 3" x .75" and do not come in retail packaging. 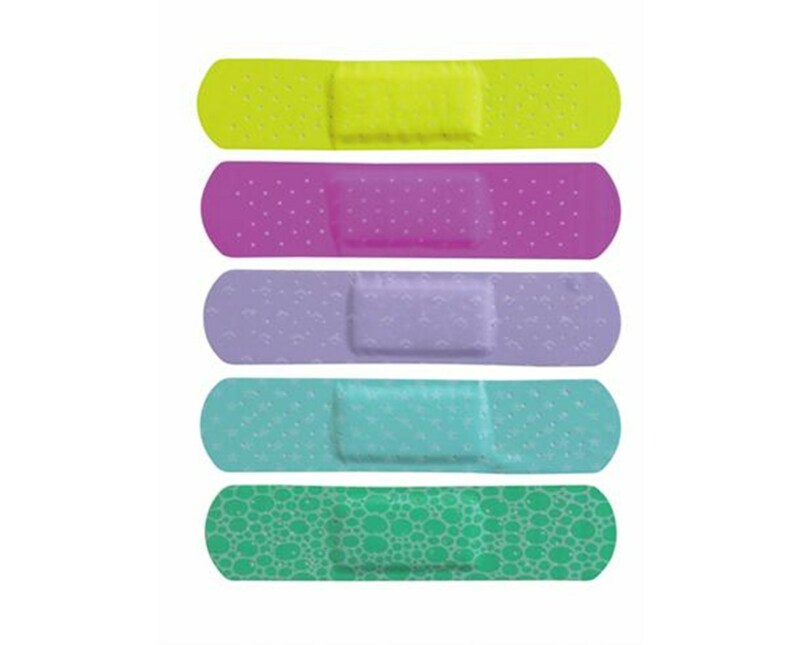 We offer the Neon Adhesive Bandages in two quantities. Select from the drop down menu above.